We like those days when we get up in the morning and know there is a new car that we are supposed to be seeing today. It was just this kind of a morning couple of days ago when we were invited to witness the upcoming Tata Tigor compact sedan through Indiblogger.in, up close. Now, if you have even the slightest of idea or interest (or even if you don’t) in cars, you would know that Tata is launching a new car to take on the Maruti Suzuki Swift Dzire. The Tata Tigor, pronounced as ‘Tee-gor’, is based on the hugely successful and great looking Tata Tiago hatchback and promises to bring class leading features and super aggressive pricing in the segment. 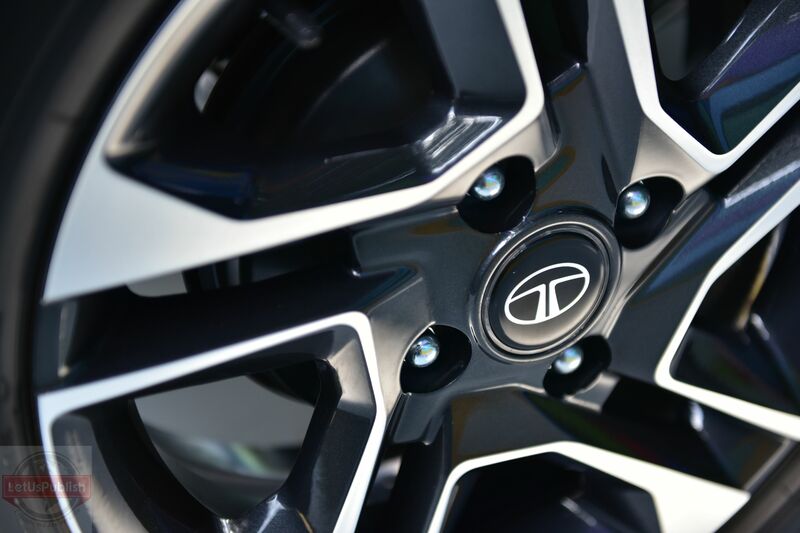 Tata Motors seems fairly confident about the Tata Tigor and are certain that this new compact sedan will set a new benchmark in the segment with its modern design and a feature list that run deep. However, the Tigor will compete in the buzzing compact sedan (sub-4m) market and will compete not just with the segment king, the Swift Dzire, but will also have to handle the challenge posted by the likes of Honda Amaze and Ford Figo Aspire. Ever since Tata Shifted its design philosophy from the Indica’s of old, they have managed to capture the market again. 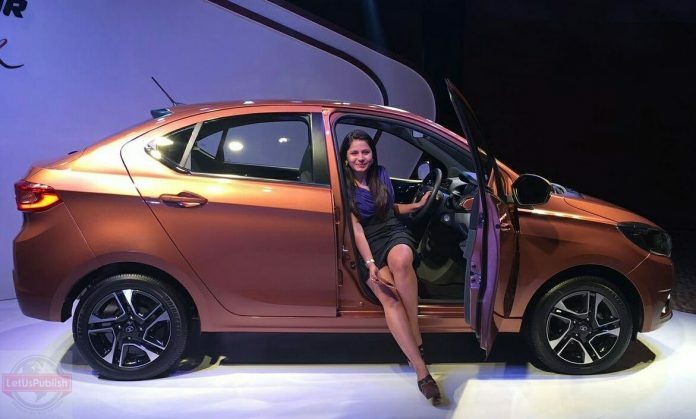 And it is not just because of market and customer perception, it is majorly because the Tiago is a beautifully executed little hatchback that looks modern and contemporary with smile inspiring design. 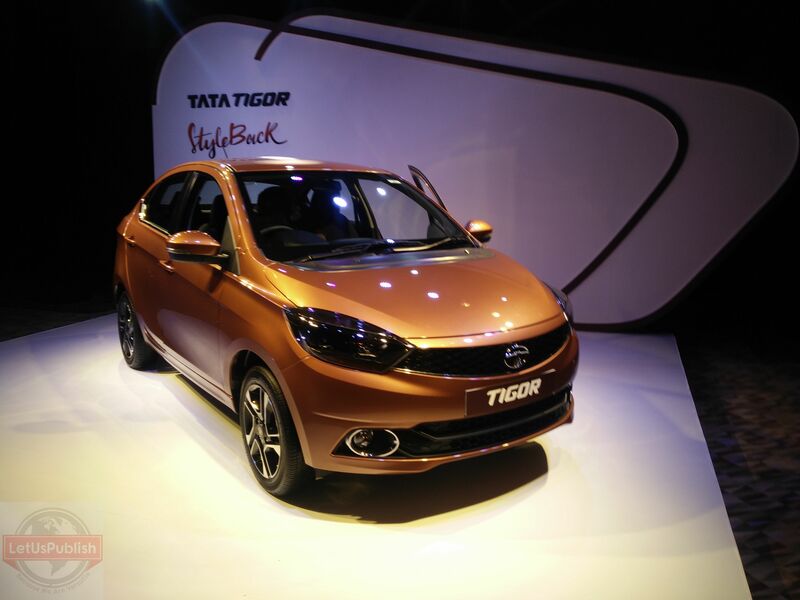 The Tata Tigor hence, had to carry on the Tiago’s design further. However, with the Tiago Tata Motors have gone one up and created what we reckon is the best looking car in the segment. 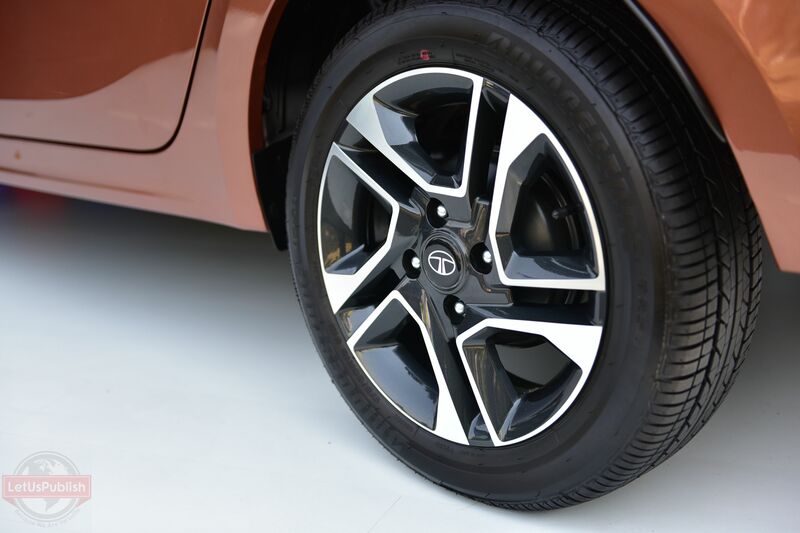 We are glad that Tata managed to convert almost the entire Kite 5 Concept into production Tigor. Tigor’s design was carried out by a collaboration of Tata’s three design houses based out of Italy, UK and India and with that sort of effort going into it, the car had to turn out looking this lovely. From the front, the Tigor seems to have an almost similar front to that of the Tiago. However, there is a slight difference in the radiator grille design for both cars. Though, the Tigor can easily be distinguished with the Tiago because of the presence of smoked headlight assembly and projector headlamp units on the Tigor. It is when you have a look at the side profile of the Tigor; you realize the effort Tata has put into making it stand out. Where the front half is similar to the Tiago it is the latter half of the Tigor that stands out and is all new. The Tigor gains 50mm in wheelbase over the Tiago meaning the rear doors a larger and have been designed for better getting in and out of it. 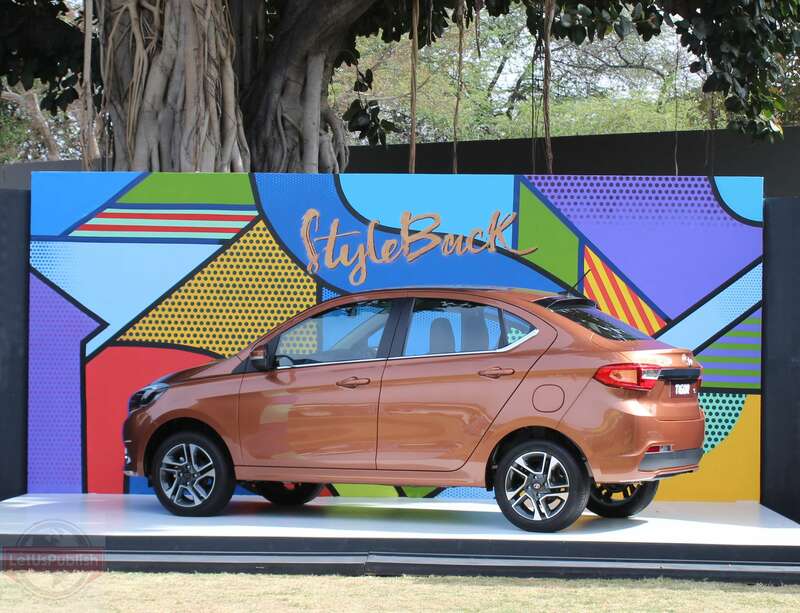 The whole later half of the side profile lends the Tigor a very coupe like appeal, which lent Tata an opportunity to coin a new term, ‘Styleback’ for it. Moving on to the rear, we can safely say, the Tigor happens to have one of the prettiest posteriors among any car on sale in India right now. The rear gets sleek taillights which are LED while the boot, which by the way has a class leading capacity, has chrome garnish. Towards the inside of the Tigor, the Tiago effect is clearly visible since both cars share the cabin and design layout. However, Tata has given the Tigor interiors a bit darker colour that adds to the premium feel inside the car. The steering details have a piano-black finish. The overall quality of the car looks at par with its rivals. Ever since the Bolt and Zest siblings, Tata has been offering pretty deep feature listings in its new cars. 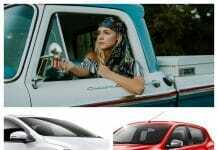 The centre of all has been the infotainment developments along with Harman. The Tigor takes this further with an updated version of the Harman developed Infotainment system that comes with Tiago. 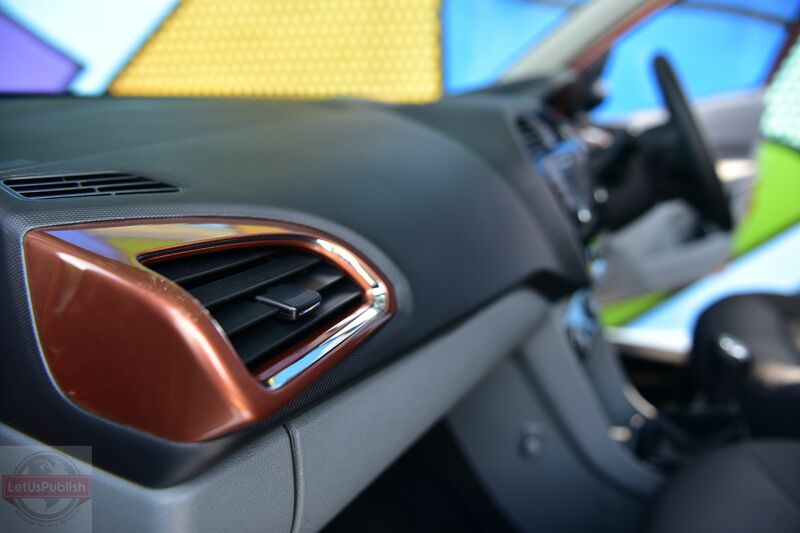 This new update means that Tigor has a new touchscreen infotainment unit that can double as rear parking camera. The system also provides useful add on’s like emergency assist, service due reminder and satellite navigation that gets projected on the screen when you connect an Android phone through USB. Sadly there has been no love being kept aside for iOS users, though it will arrive soon. That said, it is the cars music system that I just brilliant. 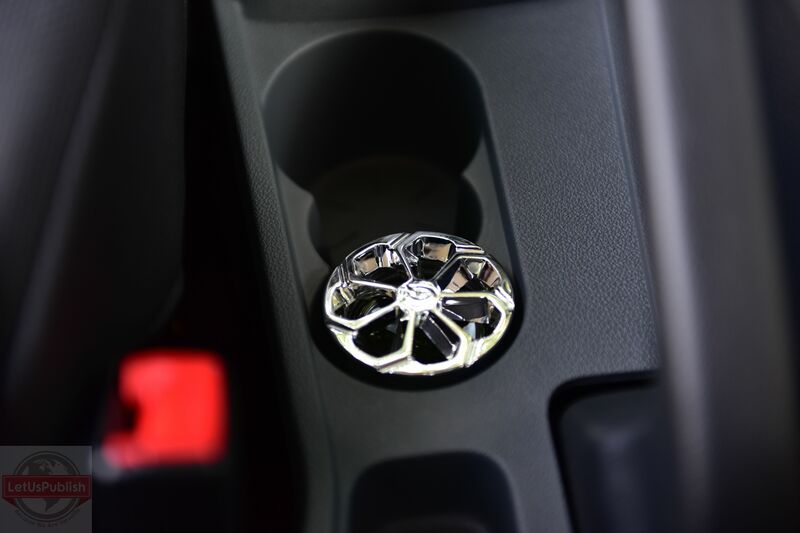 Tata says that the car has in total 24 storage spaces for bottles and other knick-knacks. As for the boot space, the Tigor offers a class leading 419 liters, which is around 177 liters more than the Tiago hatch. The Tata Tigor will have the same 1.2 liter petrol and 1.05 liter diesel engines that are being offered on the Tiago. Here too, the power figures remain same for both engines. The 1.2 liter Revotron makes 85Ps and 114Nm while being mated to a 5-speed automatic. The Diesel Tigor makes a decent 70Ps and 140Nm of torque. 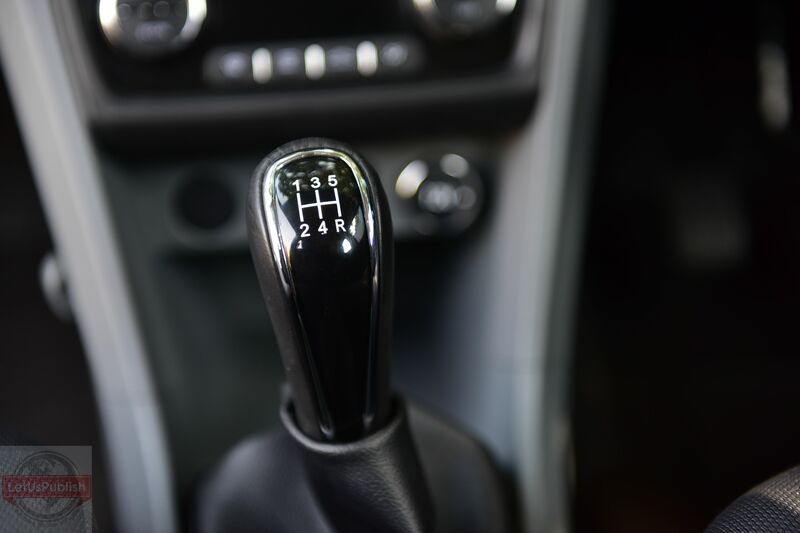 As is now standard with all Tata models, the Tigor also gets the two drive modes, City and Eco, of which the City mode is chosen by default. Should you want to chose the Eco mode, you will have to do it by activating it through a witch locate on the centre console. 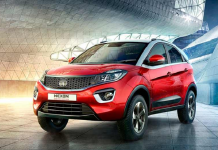 Though it was a brief encounter with the upcoming Tata Tigor compact hatchback, we are certain that Tata Motors have long the distance to make as complete a compact sedan as there can be. The Tigor looks breathtakingly beautiful among its peers and offers a rich feature list along with improved comfort and space for occupants. The engines being offered have already proved themselves on the Tiago and would suit the car similarly. How good is the car in terms of driving experience is something that we can only understand after a through road test, but going by the base of Tiago, we are certain that it ont disappoint. Saying that, as far as first experiences go, we reckon, the Tata Tigor might just be the best compact sedan in the segment. 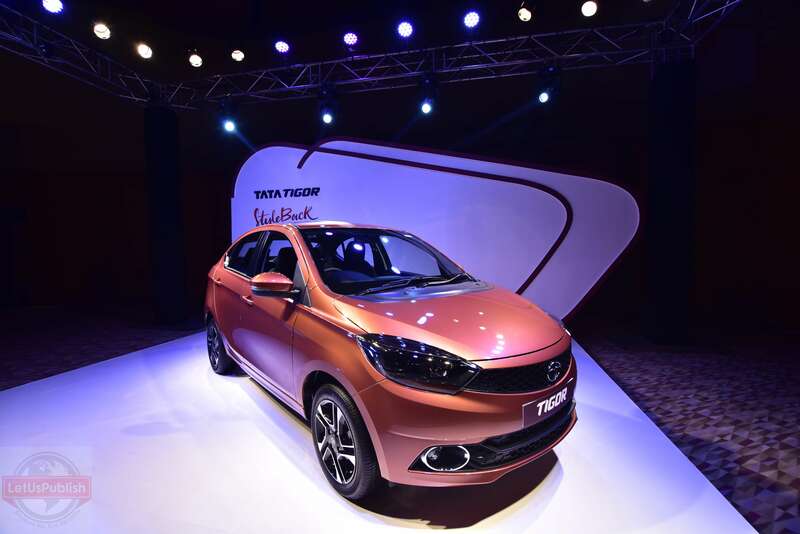 The Tata Tigor is launched on March 29, 2017. Minimum price for this Tata Sedan is Rs. 4.70 lakh and maximum price is Rs. 7.09 lakh. 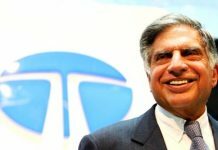 P.S – Some pictures are from Tata and Indi team. Also Check features, specification and compare with Maruti Suzuki Dzire. New Dzire also launched in May 2017 with upgraded features. Visit https://www.marutisuzuki.com/dzire.aspx.